Mary Poppins Returns Limited Edition Doll releasing December 15 in United States and December 21 in Europe. It has a global edition size of 4000, with 1001 available to Europe. 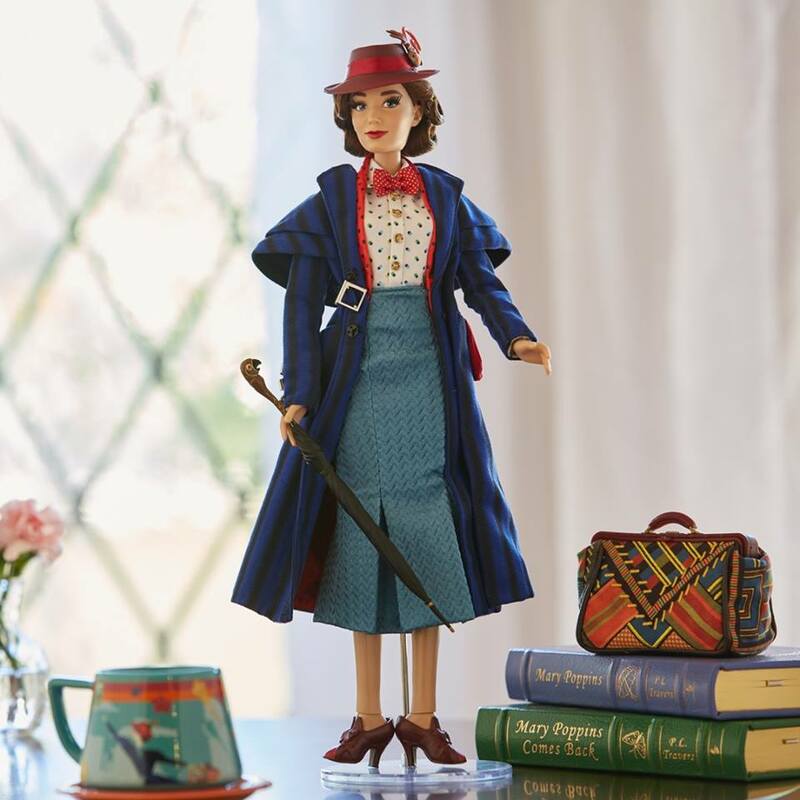 With carefully crafted details, this intricately designed doll captures the title character from Mary Poppins returns. Practically perfect in every way, this doll reflects her iconic arrival to the Banks’ home. Her prim and proper trench coat contrasts with the whimsy of her parrot umbrella, while pops of red in her gloves, scarf, and fascinator provide the finishing touches. Along for the journey is her essential carpet bag bringing order, magic, and lighthearted fun to the Banks family in their time of need. Designed and carefully crafted by Disney Store artists, this limited edition doll is a must-have for Disney fans and collectors alike.